How did I ever get to this point?” She wondered as she stood there shivering, trying to inconspicuously pull up the strap of her shift, which had fallen off her left shoulder. she shivered, scantily clad, not having been given the opportunity to put on a robe or cover herself with something of substance. Never before had she been more aware of her life situation. Her gaze was downward, she didn’t need to lift her eyes to see the accusing and angry eyes blazing over her. The men surrounded her, poised to throw the stones they held in their hands. Their aim directed at their target, which in this case was her. It would be over soon. She prayed that when the first stone was thrown, that it would hit her directly in the temple and knock her out, or quickly kill her. She knew that she deserved what was coming, and received their judgment as justified. She dare not lift up her eyes, for fear accusation would show in her own eyes for those who she knew had secretly partaken with other women for the same reason she stood before them now. It was not her place to accuse, her own sins were boldly before her. Although she wouldn’t look up, she did allow herself a quick glance sideways at the man she had been found with. He stood way off to the distance clearly begging his wife for forgiveness, promising her anything to come back into her good graces. She knew this because he was actually groveling at his wife’s feet, his wife’s arms crossed against her chest, listening to his ridiculous pleas and promises with disdain. Would his wife forgive him? Probably. It was hard to believe that this was the same man who had sworn she was his “one true love” the “only one who ever understood him, believed in him or had accepted him for who he truly was.” Yet was he there standing beside her? Was he there defending her? Was he even willing to be stoned alongside her? NO. Fool she was for ever having believed him. Loved him. Now here she stood, her life on the line. It was taking forever for this circle of men to kill her, couldn’t they just do it and be done with it?! Not one of them could hold as much disdain for her as she did for herself. Would that she could throw the first stone at her own head. “How did I get to this point?” She wondered. “How did I allow myself to participate in something I knew was wrong?” As she stood there, waiting for the first stone to be thrown, she thought about her life. Ironically, the one thing she had sworn she would never do. She had done. Her father had left her mother for another woman, and she had seen from first hand experience as a child the unhappiness that action had wrought. She had sworn she would not become like him. She had hated him with a white hot searing hate, yet, here she stood. She had gone against all that she had known was right – how? Why and when? She had been a good faithful girl all her life. Never in her wildest dreams had she ever imagined that here she would stand. Ostracized, forsaken, guilty, alone and about to be stoned. Still she waited. It was taking forever. There was a man, dressed in white addressing the men holding the stones. He had their undivided attention, which for the moment was off of her. She could run. She wouldn’t get very far, she knew – but she could run. But she didn’t. She didn’t because she knew she deserved what was coming to her. Why had she done it? The relentless question in her head tortured her worse than any stone throw could. WHY? And then the answer came to her. Really, it was nothing but a flimsy excuse. But it was the truth. She had wanted to disappear, to go away. She had wanted to forget,to lose herself… She hadn’t been able to deal with the issues occurring in her life, life had not turning out the way she had expected it to and it made no sense to her, 1+1 was supposed to = 2. But it hadn’t. So she disappeared into a life she believed was real. She had gotten lost in a lifestyle she had been convinced was real life. Somewhere along the line the lines of reality and fantasy had become blurred and with it the ability to see things as they truly were. Any time reality would knock upon her door, she had become angry with it. She had denied it! “We shared a tent! We shared a love! We shared a life! He was mine! I was his!” No, she wouldn’t go back. It hadn’t helped that her co-sinner had agreed and shared and encouraged her with selfish lies, love filled promises he had never truly intended to keep. She wouldn’t look at him again. The truth had hit her squarely in the head, he had never truly been hers in the first place and she had sinned against God, she knew the consequences. It wouldn’t matter now, she’d be dead shortly. “Oh why was it taking so long? !” She bit her lip in frustration, wanting to scream. “DO IT! THROW IT! I SINNED! I AM GUILTY. YOUR JUDGMENT IS JUST!” Yet she stood still, knowing it wasn’t her place to do anything than stand there allowing goose bumps to form on her body. How could she be so cold when her heart was racing so fast? Jesus bent down and started to write on the ground with his finger. She had heard of this Jesus. This man robed in white. What was he writing? She strained her eyes to see, but she couldn’t tell. 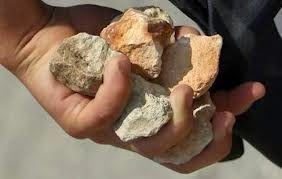 “Let any one of you who is without sin be the first to throw the stone at her.” Again Jesus stooped down and wrote on the ground. At this, those who heard began to go away one at a time. The older ones first, until only Jesus was left. She couldn’t believe it, they were throwing their stones – down on the ground, not at her. Her jaw dropped in surprise. Though still she stood. “No one sir,” she responded softly.